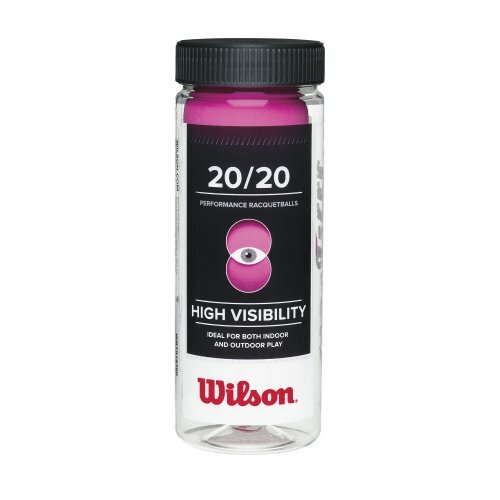 The 20/20 racquetball from Wilson. See the best new ball in the game. Ideal for indoor and outdoor play. 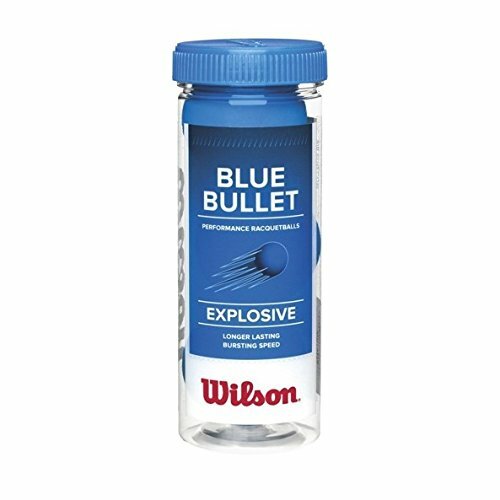 Wilson's Blue Bullet Racquet Balls are built with bursting speed and longer lasting. This racquetball is designed for those seeking a fast ball and rallies that last and last and last. 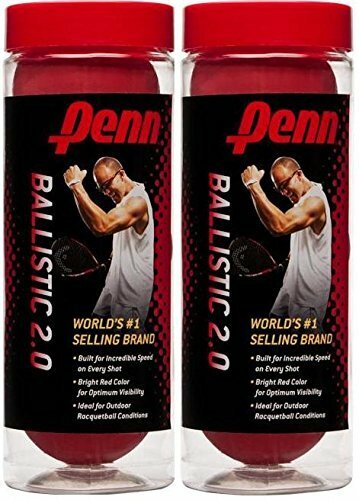 Penn s new HD high definition racquetball. Optimum on-court visibility faster, livelier and consistent playability lighter weight for a more comfortable feel increased durability. This product is manufactured in United States. 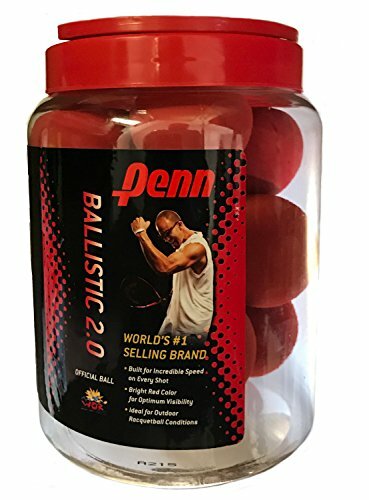 2 (cans) of the Penn Ballistic 2.0 Racquetballs are new and improved and even faster than ever. 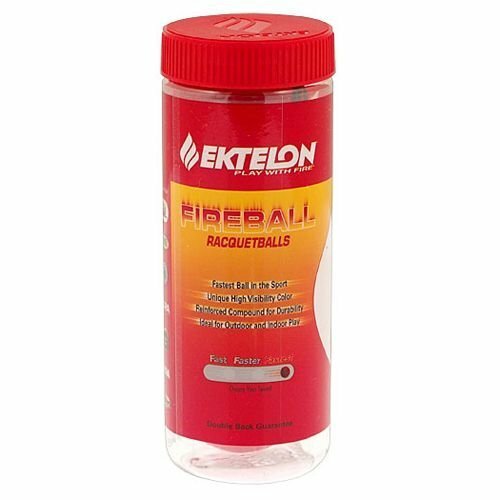 Created with even more speed for the most intense racquetball ever. Designed for outdoor racquetball with increased durability, maximum visibility, and ultimate speed. The new ballistic is also great for lightening fast indoor play. 3 ball can. Color: Red. Designed for outdoor racquetball with explosive speed and increased durability. The new Ballistic 2.0 is also great for lightning fast indoor play. 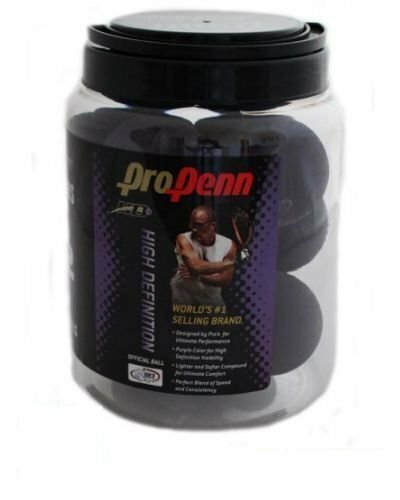 Penn has once again revolutionized racquetballs with the introduction of new Pro Penn High Definition(HD). Penn high-performance engineers joined forces with the top professional players in the world on the IRT to develop the ultimate racquetball. 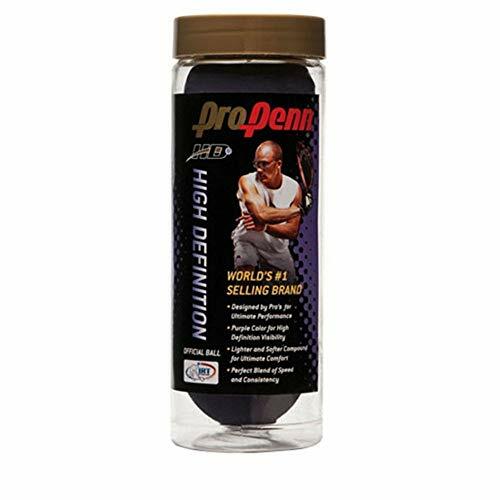 Better visibility, more speed, lighter weight and softer feel were the result of this collaborative effort Pro Penn HD The Ultimate High-Performance Racquetball. High Definition - Extensive visibility tests to determine the optimum color for today s fast paced game were conducted both in the lab and on-court. The top players in the world agree that the Pro Penn HD is the most visible ball ever produced, even at speeds near 200 MPH! More Speed Offering more speed than the Pro Penn, the true genius of the Pro Penn HD is its ability to maintain that speed, longer during even the most intense play. 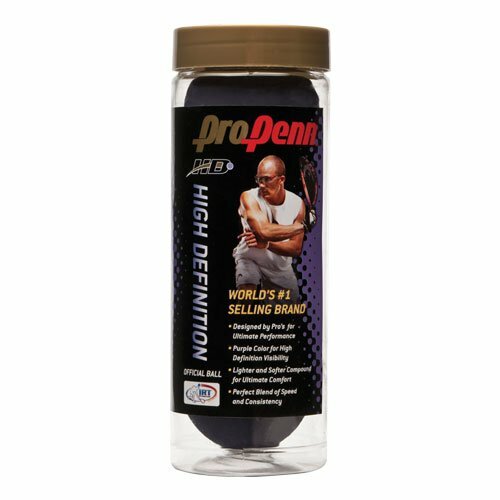 Lighter Weight Designed specifically for today s lightweight racquets, the Pro Penn HD is the new standard for performance racquetballs. This new development in racquetballs offers players the ability to control the ball like never before as well as reduces arm fatigue for longer play. More Comfort A new revolutionary softer rubber compound has been created, offering unprecedented comfort on every shot. The new Pro Penn HD produces less torque and less vibration, dramatically reducing arm fatigue. This will allow you to play your best longer. Increased Durability Today s high level players are hitting the ball harder than ever and demand a racquetball that can withstand the punishment. The Pro Penn HD delivers unmatched performance with a new level of durability. The Ballistic 2.0 is also great for lightning fast indoor play. PENN's involvement in racquetball is unparalleled. 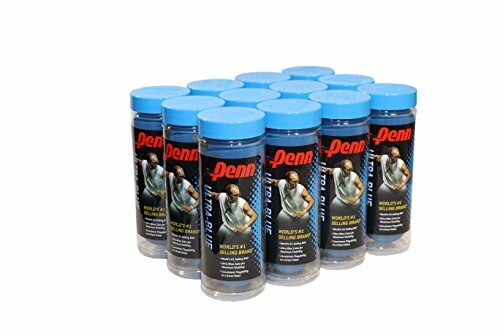 No brand is more accepted by racquetball players than Penn. 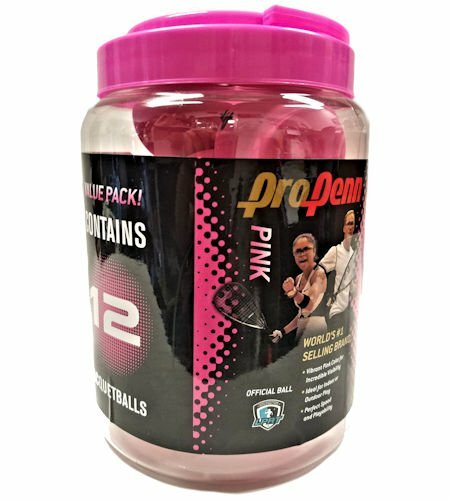 Has been the official ball of USA racquetball for over 30 years, the official ball of the international racquetball Tour (irt) for over 20 years, the official ball of the us open racquetball Championships for 15 years and is the official ball of the international racquetball Federation (irf).